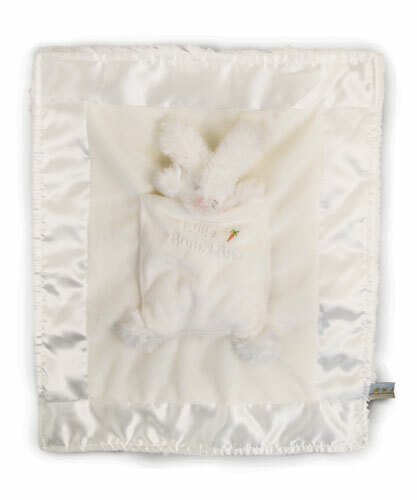 This soft security blankie has a removable wee comforting friend tucked in the pocket. Machine wash cold & tumble dry low heat. 12"x14"